Hej Cyclist! Can't you find your bicycle? It's now parked in Rosenborggade. 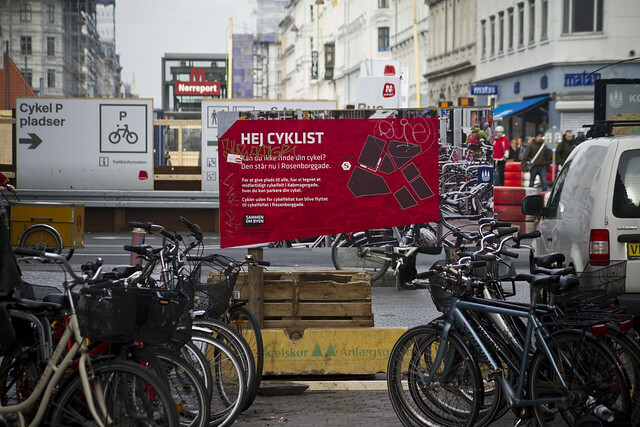 In order to create space for everyone, we've drawn a bicycle parking zone here on Købmagergade. 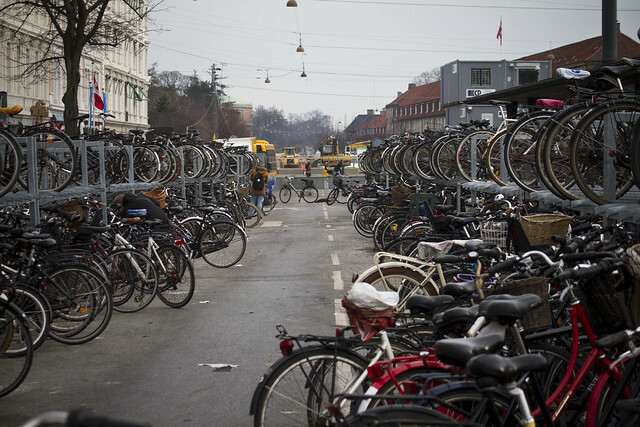 Bicycles parked outside the zone may be moved to the bicycle parking zone in Rosenborggade. They include a little map so you can find your bicycle. How lovely. Around the corner, here are the bicycles that have been moved. 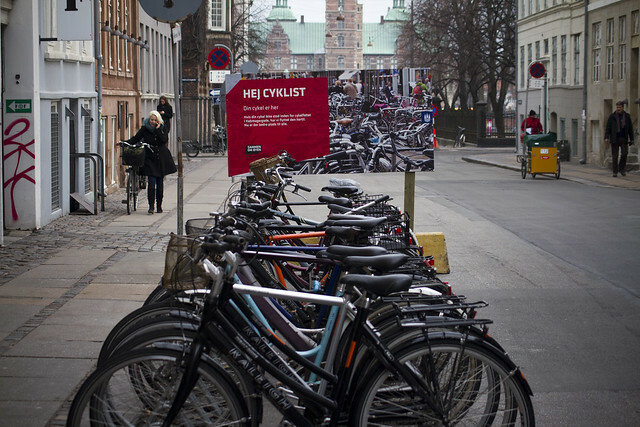 A cool design of the photo that combines the bicycles on the sign with the bicycles parked behind it. Your bicycle is here. 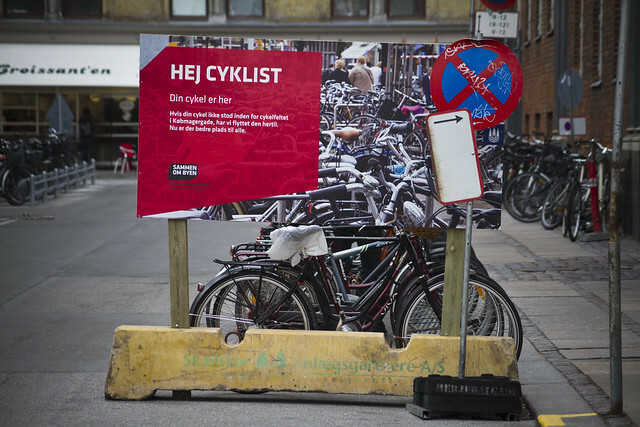 If your bicycle wasn't parked in the parking zone on Købmagergade, we moved it here. Now there is better space for everyone. Up by the station, here is some more temporary parking. Looking forward to when the station area is finished being renovated, but we like the fact that these racks are placed smack in the middle of what used to be motor vehicle lanes. "Maybe We Moved Your Bicycle" - polite signs from the City of Copenhagen let bicycle users know where to find their bicycle when it's been moved away from emergency exits leading up from the Metro. "Copenhagen's Bicycle Butlers - Park Illegally and get your chain oiled and tires pumped". The Bicycle Butlers have been a massive success. "Walk your bicycle on the train station platform" - A firm message but with a soft and appealing graphic.